Lonestar released their sixth studio album in 2005. They had enjoyed enormous success in the ten years since their debut, but Coming Home featured the band in the beginnings of their commercial decline. This transition period saw them switch producers to Justin Niebank and score just one top ten single. That lone top ten, “You’re Like Coming Home” peaked at #8. The mid-tempo rocker is perfect radio fodder and I quite enjoy the beat, but the lyric lacks depth. Power balled “I’ll Die Tryin,” which likely would’ve been a big hit just a few years earlier, stalled at #48. Consequently, both of the singles were recorded by Emerson Drive on their What If album a year earlier. Coming Home featured twelve tracks, with five co-written by Richie McDonald. The best of these is “Too Bottles of Beer,” a lovely mid-tempo fiddle and steel soaked ballad about a couple bonding over the titular beverage. The rest have good production values offset by terrible lyrical compositions. McDonald’s bandmate Michael Britt co-wrote “Noise,” which is lyrically identical to the Kenny Chesney hit of the same name, but a totally different song. It’s a far better presentation than Chesney’s take on the topic, which peaked at #6 earlier this year. Coming Home is a squarely commercial album packed with filler and little worth. It’s a far cry better than anything coming out of Nashville these days, which is a plus, but it still doesn’t make for essential listening. Despite the annoying repetitiveness, I do like “I Am A Man,” which has a good message. But I couldn’t find much of anything that truly blew me away. Another day, another artist gifting us the first taste of their forthcoming album. This time it’s Ashley Monroe, timing this new single to come just as her ridiculous duet with Blake Shelton ascends to upper levels of the country charts. Ashley Monroe will always be a step above every attempt mainstream Nashville makes to break her through to the big leagues. “Like A Rose” is a masterpiece, one of the best singles of the decade thus far, and criminally unheard by those who only know her from “Lonely Tonight,” “Bruises,” or her work as one-third of the Pistol Annies. “On To Something Good” attempts to be the middle ground between the two, occupying a space we’ve yet to see her in. On the onset the track feels like the most frivolous thing she’s ever recorded. Without a compelling story for Monroe to sink her teeth into, we’re left with the least amount of depth she’s ever displayed on a solo single. So, why does “On To Something Good” work so well? Well, Monroe had the smarts to retain Vince Gill and Justin Niebank, the team behind Like A Rose. They gift us with a slinky psychedelic production that’s easily the most engaging of almost any single currently vying for our attention. It’s upbeat, cool, and the perfect match for Monroe’s perfectly effervescent vocal. We’ve often seen female artists try to pull of contentment, but few do it is effortlessly as Monroe. She straddles the fine line between genuine and schmaltzy, drawing us in to feel her happiness right along with her. Monroe makes it looks easy, but she’s in a rare class. Is “On To Something Good” Monroe’s finest moment? No, but that doesn’t mean it’s any less engaging than anything else she’s ever done. I cannot wait to hear the rest of this album. It’s been half a decade since Vince Gill released a new album. On that occasion, he came out with four at once, with the critically acclaimed box set These Days. This time around the same team of Vince, John Hobbs and Justin Niebank has created a more concentrated effort with 15 tracks, recorded in Vince’s home studio. Vince’s vocals sound thoroughly energised and invested in the material, all of which he wrote or co-wrote, and which I feel is more consistent in quality than that on These Days. It is definitely a mature work, with a number of the songs focussed on the prospect of death, but never a depressing one. The joyous and amusing title track opens proceedings with a bang with many references to Vince’s life ranging from his “contemporary Christian singer” wife to last year’s Nashville floods (“half my stuff’s in the Cumberland River”. This really conveys the sheer joy of making music. In the equally lively up-tempo ‘All Nighter Comin’’ (written with Chris Stapleton and Al Anderson, and only on the deluxe version) a newly unemployed truck driver sets aside his troubles for the evening. Despite the depressing background, the mood is uplifting, and either of these songs would sound great on the radio. The beautifully sung lead single ‘Threaten Me With Heaven’ is a tender but confident gospel ballad written with Vince’s wife Amy Grant, Will Owsley (who tragically committed suicide last year) and Dillon Osborn. Owsley and Amy also co-wrote the mid-tempo AC ‘When Lonely Comes Around’, which is pleasant but forgettable. Amy and Vince duet on their song ‘True Love’, an AC ballad which pays tribute to their relationship, “true love that found us in time”. It isn’t a particularly interesting song, but the authenticity of the emotions make it touching beyond its merits. Amy’s daughter Sarah Chapman sings harmony. 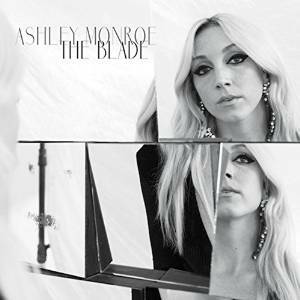 Talented singer-songwriter and now a Pistol Annie, Ashley Monroe wrote two songs with Vince. The excellent ‘If I Die’, a beautifully constructed reflection on mortality and what comes after, is one of the best tracks on a fine record. Her other contribution, ‘Who Wouldn’t Fall In Love With You’ is a low-key, tender love ballad with a pretty melody and Ashley’s distinctive voice evident on harmony. Lee Ann Womack, meanwhile, provides tasteful backing vocals on ‘Lipstick Everywhere’, a retelling of a passionate one night stand with no subsequent regrets or repercussions. Another fine artist, Texas traditionalist Amber Digby co-wrote ‘One More Thing I Wished I’d Said’, dwelling with regret on the missed opportunities in a failed relationship. Sadly, she doesn’t sing on the track, but Dawn Sears makes a good substitute. These two are only included on the deluxe version, which is well worth the additional cost. When LeAnn Rimes made her impressive debut aged just 13, she did so with a vintage song originally written for Patsy Cline. Her career subsequently veered popwards, with LeAnn often not seeming to be certain of her own musical identity. Most recently she has been producing solid pop-country, but her chart career has been overshadowed by a tangled personal life. So I was intrigued to hear that she might be returning to country classics – at least, until I heard the first single. I hated LeAnn’s manically speeded up and overwrought version of John Anderson’s hit ‘Swingin’, and was left gloomy about the album’s likely direction, despite Vince Gill being named as the producer. (He is in fact joined in that task on the bulk of the record by Justin Niebank, Darrell Brown (LeAnn’s regular co-writer) and John Hobbs, with Gill, Brown and Leann responsible for the arrangements). Happily, the end result is much better than I feared it might be, with the awful, misconceived assault on ‘Swingin’ the only track I really dislike. There are a couple of other tracks which don’t quite work for me: a horn-accompanied and passionately sung ‘16 Tons’ sounds great if you don’t listen to the words, but is completely unconvincing as a working man’s anthem. Her reworking of producer Vince’s great ‘When I Call Your Name’ as a jazz-soul song wanders too far from the original melody and emotion for me, but is very accomplished in its way and will appeal to some. Freddy Fender’s Tex-Mex ‘Wasted Days And Wasted Nights’ in contrast has a lovely retro, slightly loungy feel, with lovely phrasing and a small section sung in Spanish. I also enjoyed a new, mature version of her own first hit ‘Blue’, featuring Vince Gill’s side band the Time Jumpers. I enjoyed LeAnn’s enthusiastic take on Waylon’s ‘The Only Daddy That’ll Walk The Line’, given a gender rewrite as ‘The Only Mama That’ll Walk The Line’. The Waylon/Willie hit ‘A Good Hearted Woman’ is speeded up a bit too much, but still quite enjoyable, expressed in the first person. John Conlee’s ‘Rose Colored Glasses’ is well sung but lacks the intensity of emotion of the original, although the production is more tasteful. There are three outstanding tracks. While she cannot quite match George Jones on the hallowed ground of ‘He Stopped Loving her Today’, she gives a beautifully understated reading which works extremely well, with Vince adding harmony on the chorus. This is the one which best reveals LeAnn’s growth as an interpreter. A measured, emotional version of Haggard’s depiction of being trapped in an unhappy marriage where ‘I Can’t Be Myself’ is superb. LeAnn’s seductive and emotional plea to ‘Help Me Make It Through the Night’ is almost as good. Haggard’s ‘The Bottle Let Me Down’ (one of three afterthoughts produced by LeAnn with Darrell Brown) was a good addition to the tracklist. On first hearing I thought it paled in comparison to both the original and Emmylou Harris’s defiant cover, but over repeated listens, I have grown to appreciate the sense of defeat and regret in LeAnn’s version. The other two are brand new songs, which have both been tried, and failed, as radio singles. They are out of place here, sounding much more contemporary, and they contradict the original conceit of the album, the idea that these were all “men’s songs” given a new interpretation by LeAnn. The aggressive Miranda Lambert style gender war of ‘Crazy Women’, written by Brandy Clark, Shane McAnally and Jessie Jo Dillon suffers from a cluttered modern production and rather limited melody, while the gentler but still contemporary ‘Give’, written by Jimmy Yeary and Connie Harrington has a well meaning message and is pleasant sounding but a little dull. Interestingly, this is one of very few modern albums to get a vinyl release alongside CD and digital availability. Sales so far are reportedly low, which is a shame, because this is LeAnn’s best work for some time, and for me it fulfils for the first time the potential she had as a phenomenal teenager. Her vocals are great, and her sometimes muddy diction has also improved.